As part of the 37th annual Scottsdale Culinary Festival, we were lucky enough to attend one of the main events: the Great Arizona Picnic. 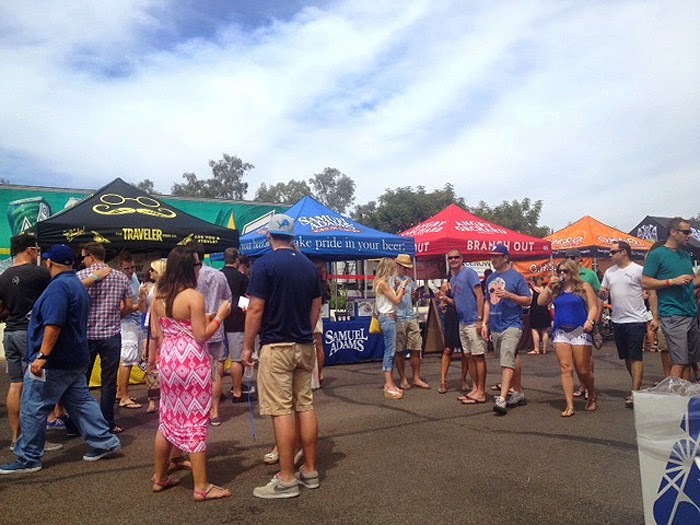 The Great Arizona Picnic features samplings from many local restaurants, chef demonstrations, live music and a host of other culinary vendors. Other events in the six day festival include themed cocktail parties, luxurious dinners and contests, all designed to raise funds for the Scottsdale League for the Arts. When we arrived at the picnic, we didn’t know where to start. We needed a plan, or did we? Should we study the map to find out what all of our tasting options were or just wander aimlessly through the beautiful shaded and grassy areas amidst the sparkling fountains with culinary delights lurking around every bend? We decided to just wander and started with Grimaldi’s pizza, fine thin crust with just the right amount of cheese. We moved on to Sushi Roku and sampled the most delightful salmon poke with avocado served in a delightful lightly fried wonton. Next, was Spinato’s pizza, always fresh with the perfect amount of sweetness in the sauce. After a nice rest on the grass enjoying some of the local musical talent, we headed to Roka Akor, where we enjoyed a mouthwatering salmon skewer cooked to perfection and served with a wonderful tidbit of pickled cucumber. As a little palate cleanser, we sampled some authentic Italian ice which was perfectly delicious. Next, we moved on to Cold Beer and Cheeseburgers and sampled their cheeseburger sliders, which were mouthwateringly fresh and juicy right hot off the grill. Next we decided to head into the Southwest Festival of beers. Who doesn’t like to taste a bunch of fantastic beers from all over the country? We passed up some of the beers we've already tried and headed to Angels Trumpet Ale booth to sample the Strawberry Blond and the Mandarin Wheat. They were both crisp, cold and delicious and served up by the great folks from Uncle Bears Brewery in Ahwatukee. We made our way around sampling a few IPAs, (all too hoppy for my taste), a few brews from Montana and Oregon and a few delightful apple ales. All in all, it was quite a successful afternoon of grazing and talking and enjoying the wonderful bands that played at the various stages in the beautiful Scottsdale Civic Center Plaza. Looking forward to next year. Sounds like a great day! Good weather too. Grimaldis and Spinatos are 2 of my fave pizza places in town and the hubby loves hoppy beer. I'm interested in checking it out next year now, thanks!